The oil & gas downstream industry has been facing an increasing number of challenges in recent years. These include the changing characteristics of the feedstock to be processed, aging of process facilities and equipment, rising cost of energy, lack of skilled plant operators who can run a refinery safely and efficiently, and the ever-changing requirements from both the market and the customer. Over the years, Yokogawa has partnered with many downstream companies to provide industrial solutions focused on solving these challenges and problems. 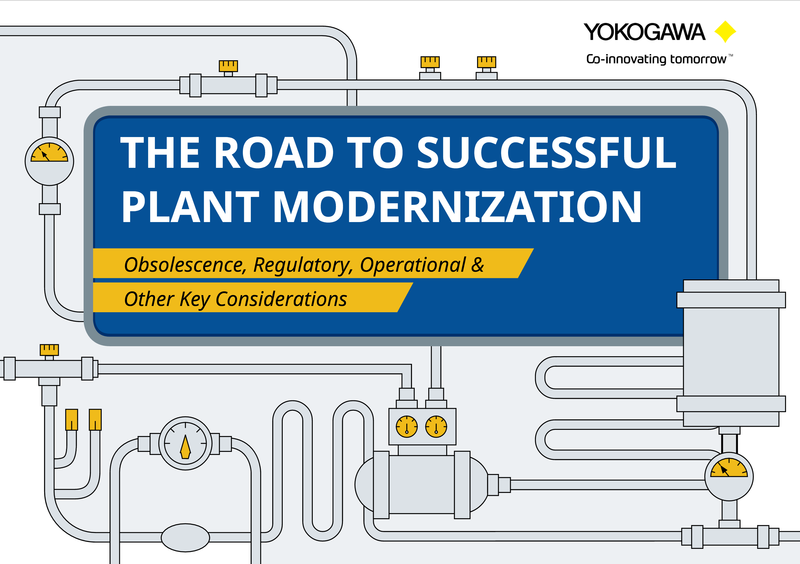 Yokogawa's VigilantPlant solutions have helped plant owners to achieve maximum profitability and sustainable safety within their plants. In the ever changing marketplace, refineries are seen not only as crude processing units but also as profit centers. At the same time, there is a keen awareness of the need for safety at such facilities. A total production solution that encompasses planning, scheduling, management, and control is required to achieve long-term goals for profitability, efficiency, and environmental protection. With years of expertise in the automation field, Yokogawa can bring you affordable total solutions for improved operability and a cleaner world. Today, many end-users not only in the oil, gas, and petrochemical industries, but also in the LNG/LPG and bulk industries are facing common logistical challenges. Those challenges include shortening the product delivery time, improving loading efficiency, adapting to changes in the manufacturing process, improving safety, increasing administrative efficiency, reducing labor costs, integrating data systems, visualizing operations, managing traffic, and so forth. Yokogawa has been providing solutions to meet customers’ needs for terminal automation and management for decades. In lubricant manufacturing, there are ever-changing complex and exacting formulation requirements, whether the material is processed in an in-line blending system or as a batch process. Accordingly, the control and information system must provide the flexibility to keep changing the formulas and procedures, while also being highly reliable and accurate. 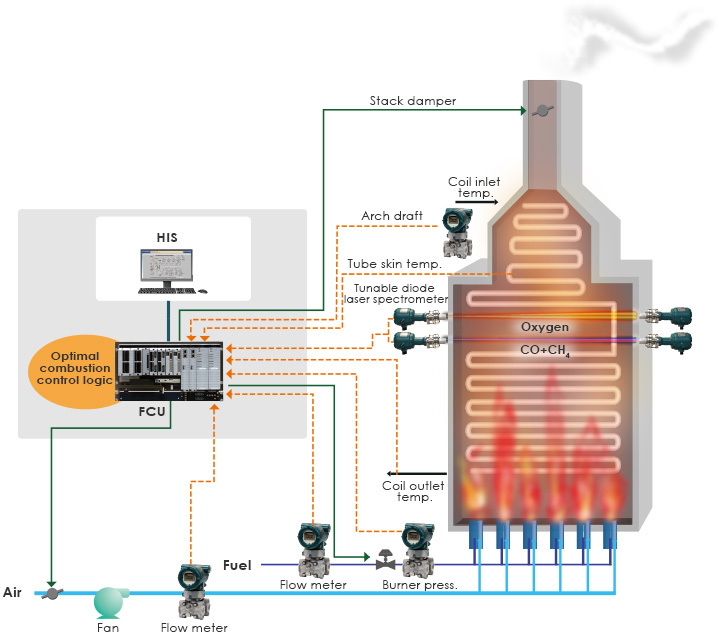 Fast online gas chromatograph (GC) analysis for LPG distillation. The analytical upgrade project with Yokogawa's process GCs was complete success. CENTUM CS 3000 plays key role in Malaysian waste oil to diesel project. Yokogawa proposed to provide its systems and services as the main instrument vendor. Flawless refinery start-up assured by operator training simulator. The virtual test function of the OmegaLand simulator created the same environments as CENTUM CS 3000. Stable regeneration of butane driers and effective start-up of sulfur recovery plant. Exapilot contributes to operational consistency and procedure management in large refinery plant. Yokogawa's FA-M3 PLC improves efficiency and accuracy at the lubricant blending processes in Thailand. FA-M3 is integrated with SFC Excellence's enterprise resource planning and recipe management system. The oil refining industry today faces increasingly strict regulations that dictate both the quality of its products and the diligence of its production processes. As the pioneer of the vortex flow meter technology, Yokogawa's challenge in bringing innovative flow measurement solutions to users in various process industries continues to this day. The top gas generated at the top of a distillation column in a petroleum refinery's fluid catalytic cracker (FCC) is used to produce gasoline and LPG. The GD402 Gas Density Meter features an intrinsically safe and explosion-proof design, fast response, and a dust-proof, anti-corrosive, and flame-proof construction. A multivariable model based predictive control (MPC) was implemented at the FCCU "A" in YPF S.A. Refinería La Plata. There are three MPC controllers installed: one covering the reactor-regenerator-main fractionator, other controlling the gas con- centration plant ant the third controlling an isolated depropanizer column. The paper describes the implementation of the project, the controller structure and the main results obtained from the MPC. Hydrogen management can have a significant effect on refinery utility supply through the integration with the rest of the utilities. 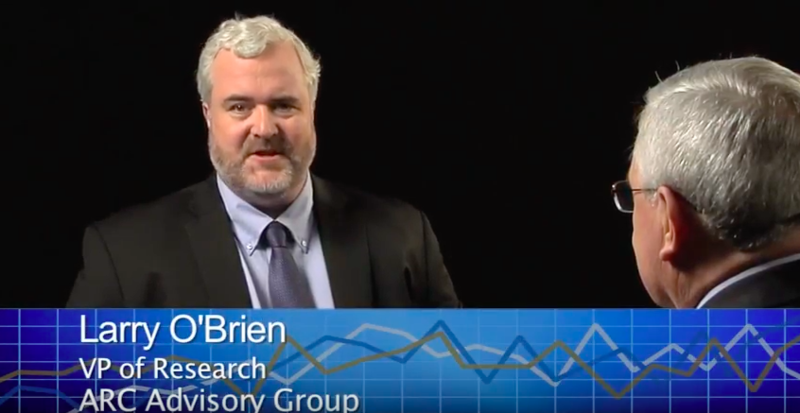 Real-time optimization of hydrogen production in conjunction with steam, power and fuels can yield significant savings opportunities for the refinery. 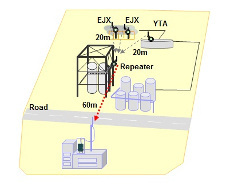 This article describes the tasks performed to develop and implement a real time, online model for energy cost minimisation and energy management at KNPC's MAA refinery. After a description of the main project implementation tasks, the Real Time Energy Management System's (RTEMS) functionalities are described and the optimisation implementation procedures are commented on. Finally, several obtained results are presented. The Repsol YPF Tarragona Refinery operates a large, complex steam system. Utilities Optimization has been performed with an on-line computer based steam management program (VISUAL MESA) in order to make the Refinery more energy efficient and reduce steam system operating costs. Petronor is Spain's largest refinery, with a processing capacity of eleven million tons a year. Its energy system is large and complex, therefore the auditing and control of energy costs are a real challenge. This paper describes the tasks performed together with Soteica, using a modern on line information and optimization system tools, to reduce energy costs. This paper describes the tasks performed, together with Soteica, using modern on line information system tools to assist with the energy system management. After a feasibility study, TOTAL decided to test an on-line model for site wide energy system management. TOTAL operates a large and complex energy system at Feyzin refinery. A detailed model of the energy system has been built and it is continuously fed with validated (not reconciliated), real-time data. It includes all the actual constraints of the site and decision variables for their operation. Continuous performance monitoring is also done, since the model writes back its results to the Real Time Data Base (Plant Information system). It also provides reliable data that helps to audit the energy productions and usages within the site energy system, and in that way wastes can be detected and eliminated. Repsol Cartagena was the first oil refinery to be built on the Iberian Peninsula. It has an annual crude distillation capacity of 5.5 million tonnes, with two main areas of production: fuels; and lube oils, asphalts and paraffinic and aromatic oils. Repsol Cartagena is currently involved in an ambitious expansion project, whereby 22 new units will be built, increasing its refining capacity to an annual 11 million tonnes. This paper shows real industrial examples in which, with the existing equipment, continuous CO2 emissions reductions were achieved while optimizing the energy systems by using an on line model. The importance of including the cost of CO2 emissions and how it should be taken into account when managing energy systems is explained. Furthermore, the optimization model is useful to perform case studies to evaluate energy system modifications taking into account this aspect. Using wireless technology for monitoring a variety of measuring points in Industrial Plants has becoming a very attractive choice for plant managers. Today, the plant manager is able to build a quick and cost effective network solution to enable flexible information acquisition and to improve maintenance efficiency and safety.